You’ve been working hard all week. You’ve been eating your correct portions of foods, drinking enough water, and even fitting in a workout or two. You feel more energized, no afternoon slumps, but when you step on the scale, the number hasn’t budged! Frustrated, you think you have failed, done something wrong or the plan isn’t working. For many, the number on the scale is thought of as the end all be all for dieters. You think that if the number drops, then you must be doing something right. But, if there is no change or the number increases, you have failed and should give up. 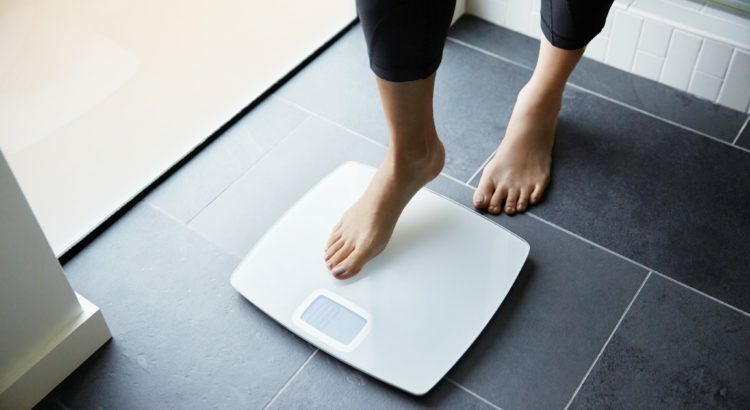 “The scale weight is not a measure of success, measure your success based on how your favorite pair of jeans fit” explains nutrition expert, Dr. Goglia. Remember the times you dieted and lost a few pounds but felt disappointed because maybe the diet wasn’t maintainable or you felt miserable on your diet plan? It is likely that you lost muscle, rather than fat. A loss in muscle is generally caused by low calorie dieting. Your body loses muscle first in order to hold onto fat as a metabolic protective mechanism. The scale may rise if you have a salty meal, causing your body to hold onto excess water. The extra sodium pulls in water, the reason why the scale may showing a higher number. Weight fluctuations can be contributed to whether or not you are using the restroom regularly. If you experience bloating, constipation, or diarrhea, the scale will not be accurate. You’ll probably see a weight that is an entire 1 to 3 pounds off! If you are going to weigh yourself, make sure to do so after you use the restroom. Cortisol, the stress hormone. If cortisol is not under control, it can do a lot more damage than good. In normal amounts, cortisol is healthy and beneficial, but when we are constantly overworked or stress, it wreaks havoc on our body, and can stall weight loss. If you are feeling stressed, try yoga, getting lost in a good book, or going for a walk. Weight fluctuations are normal and you shouldn’t base your success solely on the scale. Base weight loss first on how your clothes fit. If you don’t see progress within a few weeks, then it may be time to make adjustments to your diet and exercise.